So I had an issue with the new model sock, cuff was not staying up after a couple of wears. So I contacted them and after emailing back and forth with pictures, they did what every great company does. They replaced them!! 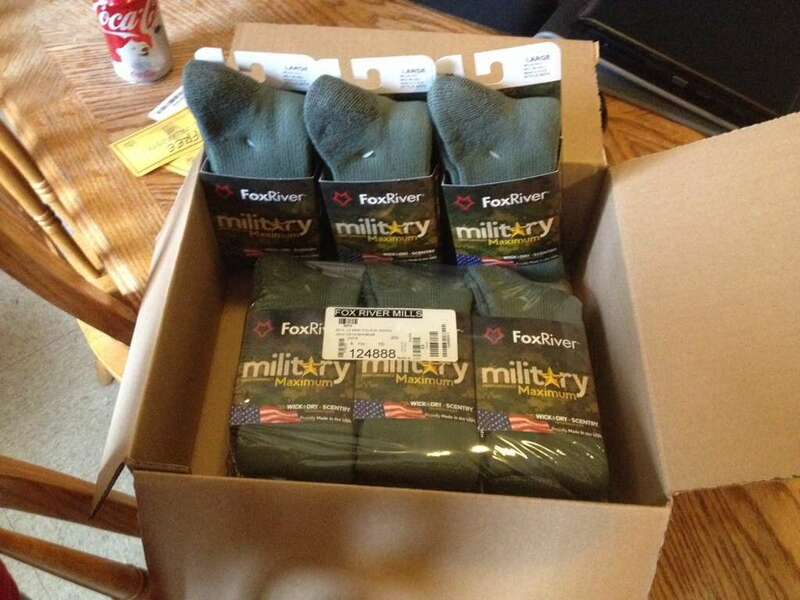 I've been wearing FoxRiver socks sense 2003 or so and they have always been great. Thank you for being a great company. I spot for entertainment purposes, what of it? "Ya'll see them stains....that ain't pee...it's squirt!..." government knows that it cannot rule over the people by force. do so out of duty, honor, oath and love of country. I might have to try these out. I have been wearing the DarnTuff ones the Corps issues now and I love them. My feet sweat when its -20 out so I could never wear Thorlos or any of those other thick ones, I can wear the DarnTuff ones if its 110 or -30! Liberals are like Slinkies, They are pretty much worthless, but always bring a smile when you push them down the stairs! I'm going to have to try these! I have a weird issue. I wear my Converse desert sand boots all the time when off duty. My feet sweat in them. Sometimes my foot will feel cold and cold to the touch and other times I feel like my foot is on fire overheating. I am officially a Huge Steeler's Fan! 97 ZJ Murdered Out! (SOLD ), 5.5" Clayton L/A's front and rear, 242 swap, HP30 & 8.8 w/ 4.88's & Eaton ELocker's F/R, 35" Goodyear Wrangler MT/R's with Kevlar. Mine do that also. I think mine is getting worse with age. I have to change insoles not from wearing them out, but from the smell. I've got a pair of those myself! No complaints! All times are GMT -4. The time now is 14:29.